Jerusalem - Egypt’s foreign minister paid a rare visit to Israel on Sunday, saying that his country remains a “steadfast and unwavering” supporter of a peace agreement between Israel and the Palestinians but warning that conditions for achieving that are deteriorating. 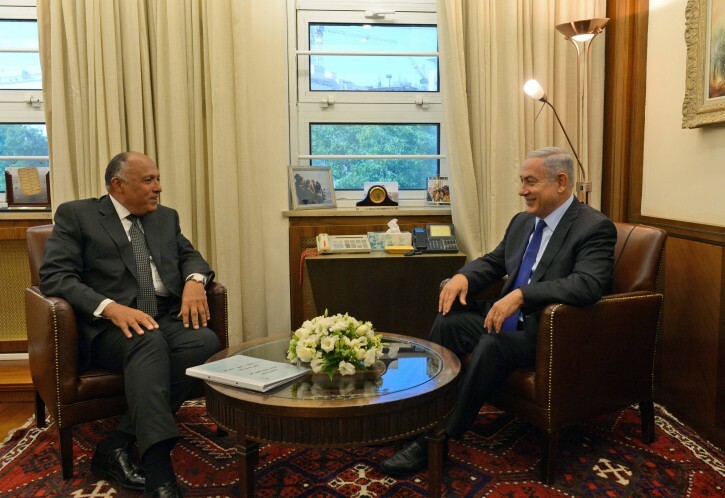 Sameh Shoukry’s trip was the first official visit to Israel since 2007 and reflected the strong but low-profile ties that have developed between the two countries in recent years. The Egyptian Foreign Ministry said Shoukry’s visit was aimed at reviving the Israeli-Palestinian peace process. Peace efforts have made no headway since Israeli Prime Minister Benjamin Netanyahu took office in 2009. The last round of U.S.-led talks broke down two years ago after the sides could not agree on the contours of a future peace deal. The Palestinians seek the establishment of an independent state in the West Bank, east Jerusalem and the Gaza Strip — lands captured by Israel in the 1967 Mideast war. Netanyahu has endorsed the idea of an independent Palestinian state, but he opposes a return to Israel’s pre-1967 borders and has continued to build Jewish settlements on occupied lands. After decades of wars followed by a cold peace, Israel has emerged as a discreet ally to Egyptian President Abdel-Fattah el-Sissi. In particular, the two sides share intelligence in a common battle against Islamic militants operating in Egypt’s Sinai desert and the Gaza Strip. El-Sissi recently made a high-profile speech calling for a resumption of efforts to bring peace between Israel and the Palestinians. 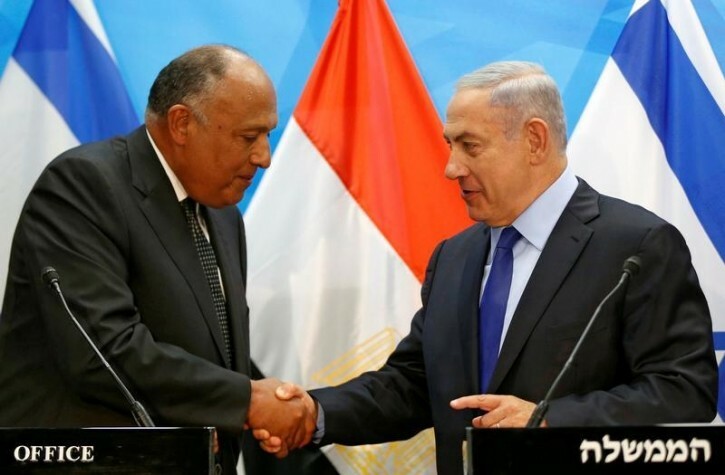 “My visit to Israel today is a continuation of Egypt’s longstanding sense of responsibility towards peace for itself and all the peoples of the region, particularly the Palestinian and Israeli peoples, who have suffered many decades due to the perpetuation of the conflict between them,” Shoukry said. A senior Palestinian official said el-Sissi has been trying to arrange a meeting between Palestinian President Mahmoud Abbas and Netanyahu. The Palestinians have been resisting because the Egyptians have not set any parameters for the meeting, and because Netanyahu continues to build settlements, the official said, speaking on condition of anonymity because he was discussing a confidential diplomatic issue. Egypt and Jordan are the only Middle Eastern countries to make peace with Israel. Shoukry visited Abbas in the West Bank last month. Let Egypt make a Palestinian state within its own country. only israel is interested in any solution , the palestinians only want everything and more.